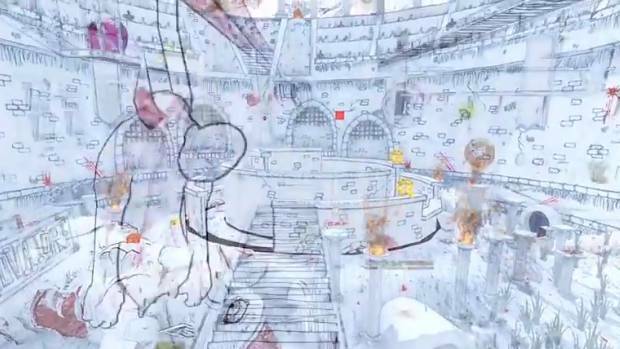 Drawn to Death, the new multiplayer shooter by David Jaffe, who has previously brought us Twisted Metal and God of War, is now out. But Sony won’t stop promoting it just yet- as a matter of fact, they released a brand new trailer for the game just today, showcasing Alan, one of the playable characters in the game, and his abilities. Drawn to Death is a highly stylized new multiplayer shooter from David Jaffe; it is available for free for all PS Plus subscribers, and $20 for everyone else. The game uses its art style and integrates it into its gameplay and mechanics as well- so it’s not just for show. We’ll have our full review for Drawn to Death up shortly. Until then, however, why not watch this trailer? Are you interested in Drawn to Death? If so, is Alan the character you play as? Make sure to let us know in the comments section below.